The DS line was a great idea. It gives the customers more choice. They can choose the standard Citroen models, or go for the upmarket, spicier DS models. Sales of those have been increasing fast when several standard models were in need of large discounts… Citroën is now launching its DS line on the Chinese market, and this Numéro 9 concept will highlight them. Just look at the pictures. It happens often that a manufacturer hires pretty women to pose next to its cars, but this is the first time Citroën hires Chinese ladies. 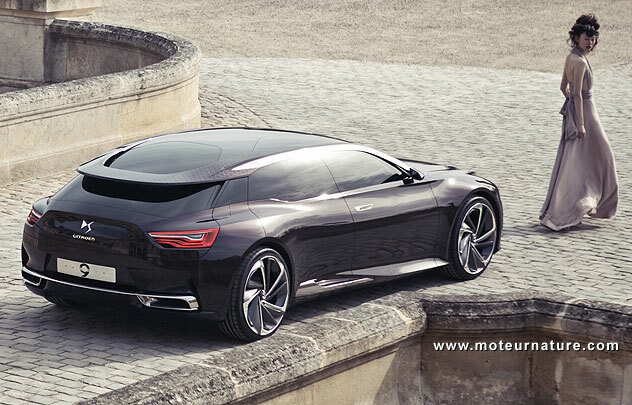 The Numéro 9 looks a lot like the DS5, though the proportions are different. It is 16 inches longer, 4 inches wider and 9 inches lower. The reduced height in particular, makes the concept looks dramatic. The hybrid drive obeys the same rules. It’s based on the DS5 hybrid, but it’s much spicier. 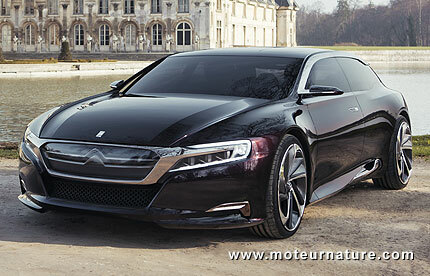 The production DS5 has a 163 hp diesel, this Numéro 9 concept has a 225 hp gas engine. Same thing for the motor. 27 kW on the DS5 hybrid, but 51 kW on the concept. Battery size has also been increased, to about 11 kWh, and a charger added, which allows up to 31 miles of driving in electric mode according to Citroën. 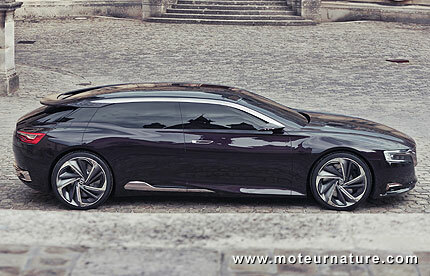 We guess the Numéro 9 concept shows what an upcoming DS6 model may look like, but nobody knows what could come from its plug-in hybrid drivetrain. Let’s imagine that if the standard Citroen hybrids are selling well, Citroen may think about giving them a plug. Beyond that, and beyond green cars, a car the size of this Numéro 9 needs a strong gas V6, but the PSA Peugeot-Citroën has stopped building any. 40 years ago, Citroën used Maserati V6s, it could get a V6 from GM now.